Designing your alluring garden around a dirty walkway, patio or driveway is a potential risk to ruin its look and feel. The same goes for any stonework, decking and concrete that deteriorated over time. All your hard work to maintain your garden and lawn will be in vain. Forget about the old and hard ways of scrubbing your exterior surfaces. Put the broom and strong detergents aside. Let our skilled gardening teams take care of your driveway cleaning and ensure pristine clean paths. 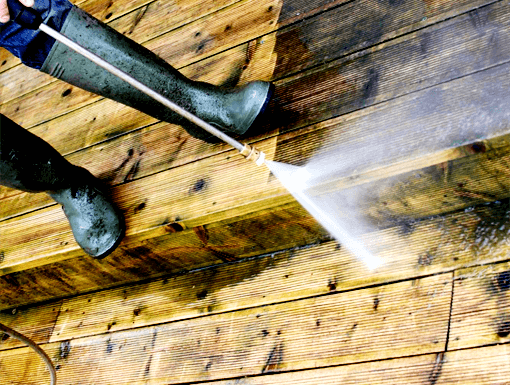 Discover the true beauty of your garden and patio with regular jet washing that removes all dirt, moss and algae from any surface with ease. With modern equipment at their disposal, your pressure washing technicians will provide a thorough maintenance session to ensure flawless house facades. Also, they will use only eco-friendly detergents to remove stubborn stains if needed, making this jet washing service safe for the environment and your health. "You are not only perfect gardeners, you are also mastering the patio and driveway cleaning session. I am really happy with the results of your job. All my friends and relatives in Warrington will know about your skills now!"